Welcome home! 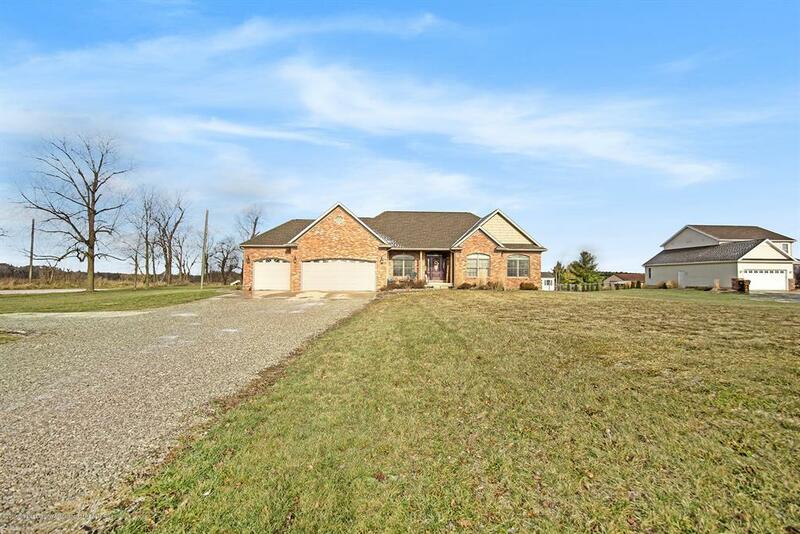 This stunning 3 bedroom, 2.5 bathroom brick ranch home is move in ready and is situated on over an acre of land. Upon entering take notice of the 14' ceilings, new carpeting, and a beautiful fireplace with an updated mantel in the living room. The gorgeous kitchen features cherry cabinets, quartz counters, a pantry, a built-in desk, a glass slider leading to the back deck, and new appliances in 2018. The main level also features all 3 bedrooms and 2.5 bathrooms including the master bedroom, bathroom suite with a huge walk in closet. The full finished basement features a spacious family room and plenty of storage space. Additional features include a fenced yard, an attached 3 car garage, and much more!